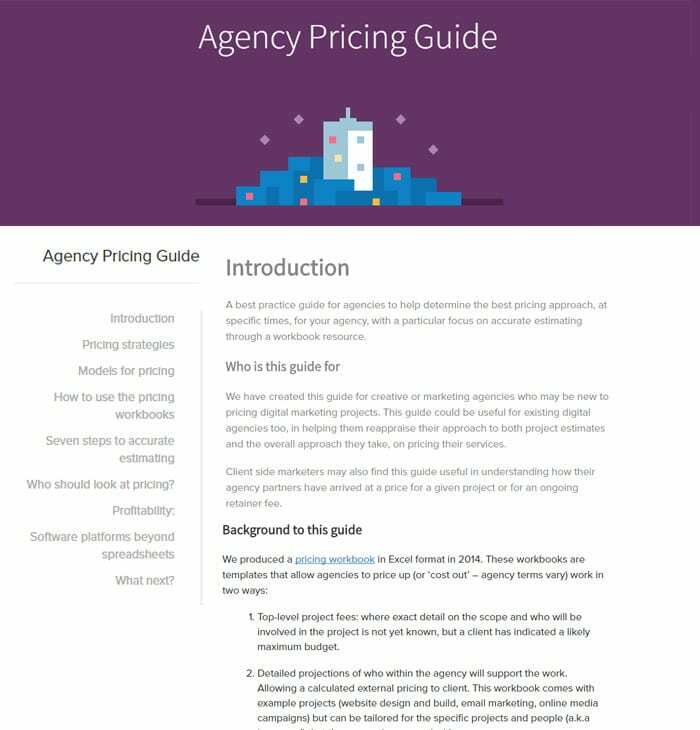 A best practice guide for agencies to help determine the best pricing approach, at specific times, for your agency, with a particular focus on accurate estimating through a workbook resource. This guide sits alongside our pricing workbook. 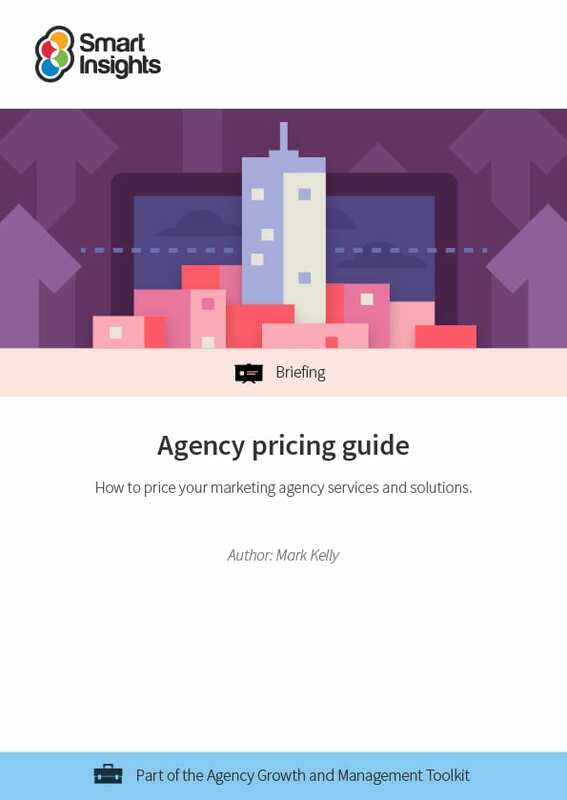 Together, these two guides provide you with a view on how to price your marketing agency services, with helpful and actionable advice on setting prices. The guide is produced by agency marketing veteran, Mark Kelly, who has led and worked with many agencies. He offers excellent and unique advice on pricing agency services. The guide will help you accurately and realistically set prices. We have created this guide for creative or marketing agencies who may be new to pricing digital marketing projects. This guide could be useful for existing digital agencies too, in helping them reappraise their approach to both project estimates and the overall approach they take, on pricing their services. Client-side marketers may also find this guide useful in understanding how their agency partners have arrived at a price for a given project or for an ongoing retainer fee. Who should look at pricing? Format: Online long form, in a practical format for you to take advice and inspiration to price your agency services accurately.